Students4Giving was created in September 2007 through a Campus Compact and Fidelity® Charitable Gift Fund initiative to educate and inspire a generation of engaged citizens, philanthropists, and community leaders. Portland Community College was one of five academic institutions in the nation selected to create a donor advised fund to offer grants to non-profit organizations within their communities. Join us on Facebook to keep up with our activities! 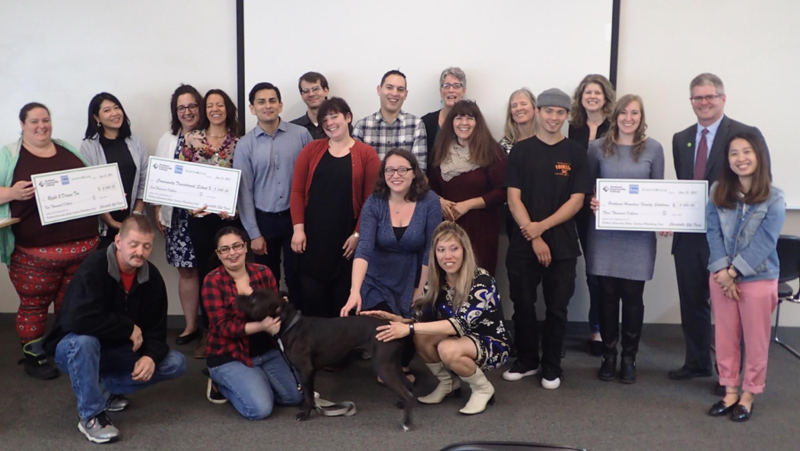 The Portland Community College’s Students4Giving mission is to educate students in the field of charitable giving by identifying and allocating funds to local non-profits that strive to solve social problems, have a strong impact, and demonstrate financial need. By developing sustainable relationships between students, college, non-profits, and community, the efforts of our project will create a lasting impact, beckoning in a new era of philanthropy. Students4Giving celebrated its 10th anniversary. At the end of the term, three grant recipients were selected and received funding for a total of $10,000. Second year of partnership with the Learning by Giving Foundation and 43 other college student philanthropy programs across the United States. Received a $5,000 matching grant from the Learning by Giving Foundation. Raised $5,000 in matching funds through contributions and used textbook donations. Enroll in BA 208: Introduction to Nonprofits and Philanthropy course. We welcome cash donations throughout the year. Please see how can you donate to Students4Giving. Please contact our lead instructor Cynthia Killingsworth[opens in new window] with your ideas and questions. Join us on Facebook (CBL) to keep up with our activities!